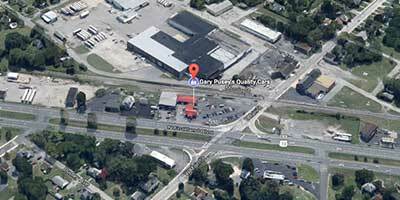 "Everybody Rides... Nobody Walks" here at Gary Pusey's Quality Cars in Fruitland, Maryland Since 1978. Great gas saver and will last for years and years to come!! Family-Owned and serving the local community for over 45 years. Full Service Center open to the public. Service Center offers oil changes, exhaust work, engine tune ups and computer diagnosis, brake work, engine replacement, air conditioning repair and more. Towing Service around the clock for local and long distance towing. Our phones answer 24-hours a day and we are insurance approved. Call 410-742-0788 because "we never close". Copyright © 1999-2017 Gary Pusey's Quality Cars. All rights reserved.